Prime Minister Narendra Modi, with his "strategic insights" and pragmatism, can become a statesman like former US president Richard Nixon to resolve major issues between New Delhi and Beijing, a leading English daily of China has said. However, it cautioned India against being taken advantage of by other countries, including the US and Japan, "to contain China". "Modi is considered as a state leader with strategic insights," the Global Times stated in an opinion piece on Friday, the second day of the Indian prime minister's three-day visit to China. "He may become a Nixon-style statesman because of his pragmatism and capacity to resolve major contradictions between China and India and to tackle the common challenges of development." The state-run Global Times, which is known for its sharp views on India, has been using the word "pragmatism" to describe the Indian prime minister's diplomatic initiatives. In an article highly critical of Modi, days ahead of his visit to the land of the dragon, the Global Times stated: "Ever since Modi assumed office, he has taken the initiative to actively develop India's relationships with Japan, the US, and European countries in no time, in order to promote the country's poor infrastructure construction and economic development. But his diplomatic moves last year have proven that he is a pragmatist, rather than a visionary." Interestingly, while the earlier article used "pragmatism" in a negative way to portray Modi, Friday's article, headlined "Modi's Nixonian pragmatism refreshes ties" and written by Liu Zongyi of the Shanghai Institutes for International Studies, used it in a positive way. 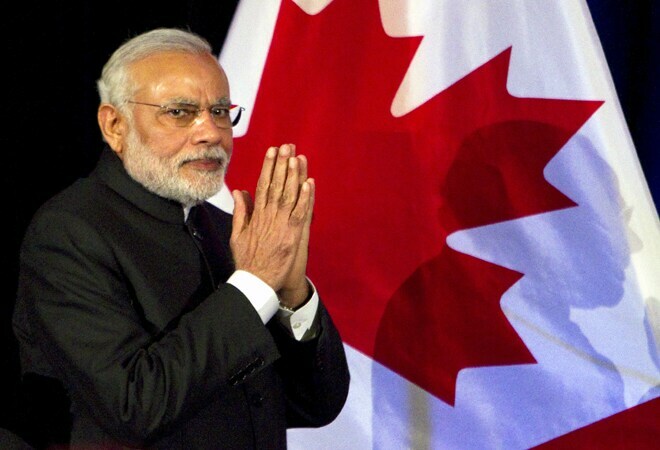 "Over the past year, India, under the Modi administration, has become a star on the world stage," it stated. At the same time, it pointed out that other nations, because of Modi, could take advantage of India to contain China. "Modi's victory in the country's general elections last May has injected enormous confidence into India's economic development as well as offering hope to the US, Japan and other nations attempting to take advantage of New Delhi to contain China," Liu wrote. Citing former Chinese leader Deng Xiaoping's saying that the 21st century could only be the Asian century if India and China worked together, the article stated: "To achieve common development, a stable and peaceful surrounding environment is needed." According to the writer, to maintain regional security, "including the stability in Afghanistan and the security in the Indian Ocean, requires concerted efforts from both China and India". Stating that if the US, which is the major provider of security in te Indian Ocean region, exits, the opinion piece stated that India would need the cooperation of other countries. "The boundary disputes are a conundrum in the bilateral relationship," the newspaper said. "If they can't be solved at an earlier date, the two sides should more closely stick to the code of conduct they reached before." As for economic ties between India and China, it said New Delhi has an ambiguous attitude towards Beijing's initiatives. "New Delhi also holds an ambiguous attitude toward China's 'One Belt, One Road' initiative, referring to the Silk Road Economic Belt and the 21st Century Maritime Silk Road, and other regional economic cooperation plans. Though it joined the Asian Infrastructure Investment Bank (AIIB) as a founding member, there are suspicions among some Indian scholars that the bank will serve as an instrument of Chinese foreign and strategic policy," the daily said. Though "India longs for economic integration in Asia", it was "reluctant to see China acting as the single leader in the region but expects to share the role", Global Times added. "It is a long-term task for the two sides to establish mutual strategic trust, but political resolutions of powerful leaders will inevitably accelerate this process," the article concluded.